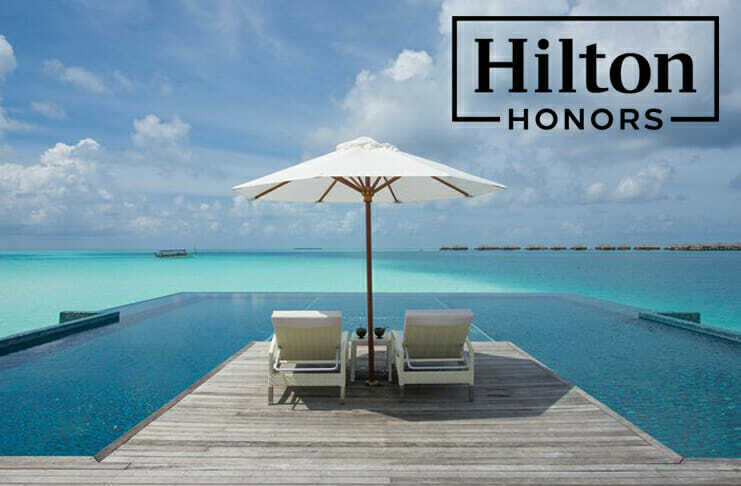 Hilton is back with another points sale and just like its first promotion of 2019 it’s offering a bonus of up to 100%. This time around the maximum bonus is available on all points purchases of 5,000 points or more and that’s just about as good as Hilton points sales get. Members will only receive bonus on Points that are purchased through the Purchase page on HiltonHonors.com. Points will be posted to the member’s Hilton Honors account within 24 hours of the completed transaction. Note: In the past some members have been offered an increased annual purchase limit of 100,000 points so check your individual T&Cs to see if this has been offered to you. On of the big positives of how Hilton sets out its point sales is that it doesn’t vary the cost per point within each of its bonus tiers so, as long as you buy 10,000 points or more in this promotion, you’ll be buying points at the best available rate. Buying the full 80,000 point allowance costs $800…..
…and will net you 160,000 points after accounting for the bonus. 160,000 points at a cost of $800 works out to 0.5 cents/point. Should You Buy Hilton Points At 0.5 Cents Each? 0.5 cents is the cheapest rate at which we usually see Hilton points being sold so if this offer doesn’t work for you (which it may not) there isn’t another offer that we’ve seen that’s going to improve things for you. I value Hilton points at around 0.4 cents each so you may be expecting me to say that this is a deal everyone should be staying away from…but that’s not going to be the case. If you’re planning on buying points just to stockpile them then that’s a fundamentally bad idea but there’s definitely value to be had here if you know what you’re doing. Take the Conrad New York as an example. In the current sale the 80,000 points needed to book this award would set you back $400 which would save you over $260 on the best available cash rate. You could do the same at the Waldorf Astoria Beverly Hills. …while the 95,000 points needed to book the same room on the same night would cost just $475 saving you over $290. If you have Hilton Honors Elite status you get the fifth night free on all award stays of 5 night or more and this leads to another example of where this sale can be useful. The full 5-night stay will cost £1,932.56/~$2,470 when you pay with cash…..
…and 320,000 points if you pay with points. Clearly you cannot buy 320,000 points in this sale but, as the value you’d be getting from each point on a booking like this one would be 0.77 cents, it’s worth buying points at just 0.5 cents if you need to top up an account to book an award like this. It’s always worth remembering that the maximum number of Hilton HHonors points you can purchase in a year is 80,000 excluding bonuses (unless you’ve been targeted for an increased allowance this time around) so you’re not going to be able to buy a lot of cheap nights at high-end properties with a “buy points promotion”. It’s also worth remembering that the hotels I’ve discussed above are just examples so there may be cheaper properties available on the same nights that suit you just as well….but that doesn’t make the deals I’ve highlighted bad. The most important things to do are to…. If the math works then buying points in this promotion is probably a good idea (go for it), if not then you should move on. If you only need a few more thousand points (to add to your existing Hilton Honors points balance) for an award you’ve been looking to book then paying a little more for the points than you would otherwise be happy to pay would also be ok….just don’t go crazy. You can access the latest Hilton Points Promotion via this link.